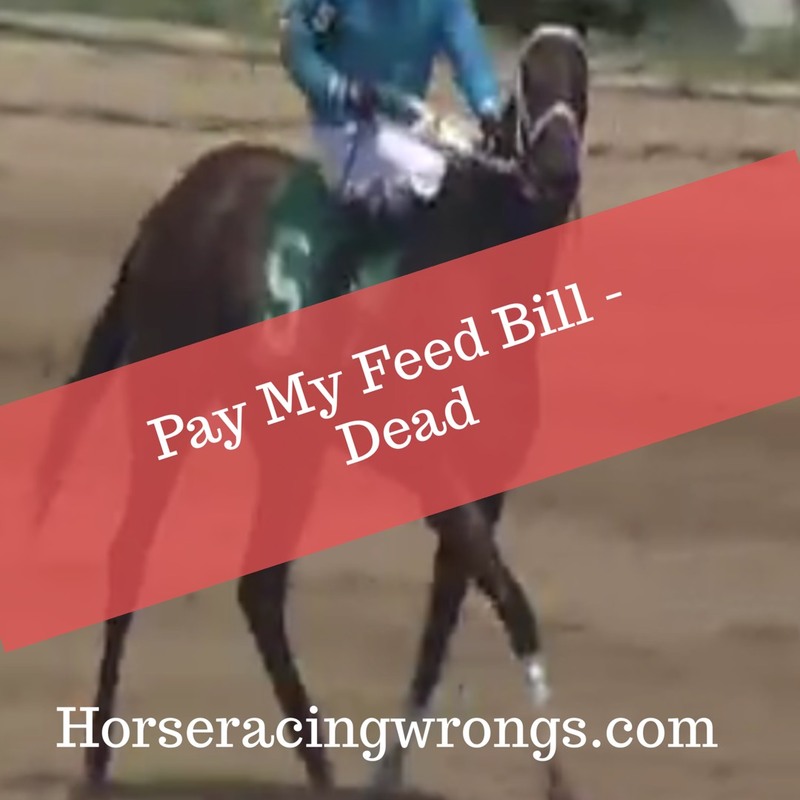 In the 8th at Thistledown yesterday: “PAY MY FEED BILL had speed along the inside into the first turn, was injured leaving that turn and was euthanized” (Equibase). Dead, just like that. 3-year-old Pay My Feed Bill was “For Sale” at $5,000 the day she died. According to the most recent Minutes at Los Alamitos, Zeppo “injured itself in its stall” (note the “it”) prior to race 4 on August 24 and was euthanized after “showing signs of significant neurological distress.” He was four. The Minutes also report “one equine death due to racing injuries” for the period Aug 24-Aug 26 – identity withheld. As promised,I intend to respibd to every notification. If I offend anyone,that means you have issues,not me. Life us cheap. Neurological damage? From being beaten or ramming his head into the wall!?. See how long any human can keep it’s sanity being confined,trucked all over and beaten with whips. Not libg. Maybe the dead ones are lucky. Their suffering is over. I only need a few minutes aline with some of these”breeders,trainers,owners,jockeys and the others envolved to end this. Really. Wish they would list the owner, trainer and jockey in these reports. Want to see how many times the same names pop up.